Almost every book written about karate contains a short history, which tells the reader the same thing: there is very, very little information on the early development of the martial arts. Most accounts cite China as having a significant influence on its initial rise, however, it is clearly Okinawa that spawned what we know today as karate. Okinawa is one of the 60 small islands south of mainland Japan and owing to its strategic location, it was often visited by the Japanese, Chinese, Koreans, and other foreigners. Likewise, many of its natives visited, worked and studied in these countries. This facilitated the exchange of goods and services and of course, knowledge. It is unclear whether this exchange of knowledge had a truly significant influence on the development of the indigenous fighting system, Okinawa-te. However, there is little doubt that necessity had the strongest role in Okinawa-te's maturation into what is known today as karate. Okinawa had always experienced problems between rival kingdoms, but in 1429, the kingdoms were united and in order to maintain this unity, a decree was issued which banned possession of all weapons. This seemed to work fairly well for almost 200 years, however, in 1609, Okinawa was, without much resistance, conquered by the rulers of the Satsuma Domain of Kyushu. Of course, there was no incentive for the new rulers to permit the Okinawans to own weapons and they went even further by forcing them to check out their farming implements (which could double as weapons) each morning and return them each evening. Without weapons to defend themselves and their families, the Okinawans began to develop the art of empty-handed combat in earnest. It was taught and trained in secret through the beginning of the eighteenth century. Much of the training was done at night while the oppressors of the Okinawan people slept and therefore, the practioners trained in the sleeping garments (the predecessor to the modern karate "gi"). Over the years the prohibition against karate training began to diminish and legends began to develop. Although there are too many to describe in this brief history, the most notable would definitely include Sokon Matsumura (aka Bushi Matsumura) who taught many great instructors including Azato and Itosu. These two gentlemen became the instructors of Gichin Funakoshi, the founder of Shotokan. Gichin Funakoshi was born premature and frail and was given to his maternal grandparents to raise. While attending primary school, he became friends with the son of Yasutsune Azato and shortly thereafter, began receiving karate instruction from the greater master. According to Funakoshi, after he had trained a couple of years, he realized that his health had improved tremendously and that he was no longer frail. It was at this time, he began to contemplate making Karate-do "a way of life". Gichin Funakoshi became a school teacher, but continued to train at the house of Master Azato and also under a number of other great instructors. At the time, there were not many formal "schools" of karate and many karateka sought and received instruction from a number of great masters. These masters also shared information amongst themselves, often not seeing themselves in competition with each other, but as kindred spirits with the same love of martial arts. It is also during the early years of Gichin Funakoshi that great changes swept through Okinawa and mainland Japan. The government actively sought to develop a stronger sense of nationalism and militarism and martial arts was definitely a major player in nationalist mores. In 1902, Funakoshi performed the first formal recorded demonstration of karate. As a result of this and other demonstrations throughout mainland Japan, karate not only earned the approval of the Ministry of Education and introduced into public school curriculums, but it also became an institution in Japanese youth organizations, the military, colleges, commercial businesses, and with the general public. 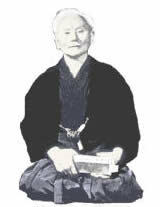 Funakoshi was extensively sought after as an instructor and found himself permanently relocating to mainland Japan to pursue instruction of karate to the Japanese people. His students initiated the building of the first public karate dojo (training hall) which opened in 1939 and which was called the "Shoto-kan" (using the pen name of Funakoshi - "Shoto" and "kan" for hall). Although the road was never an easy one for Funakoshi, karate flourished on mainland Japan and as a result, in 1948, the Japan Karate Association (JKA) was established. The establishment of the JKA lead the way to the spread of karate throughout the world. Masatoshi Nakayama, one of Funakoshi's greatest students, succeeded him as the head of the JKA. To say that Nakayama played a pivotal role in the expansion of karate throughout the world would definitely be an understatement.